With the Samsung Galaxy Grand, a new 5-inch smartphone with a 1.2 GHz dual core chip and Android Jelly Bean was announced. The Grand Galaxy will be cheaper than the Galaxy Note. A few weeks ago I reported that a cheaper version of the Samsung Galaxy Note 2 will bring to market. Much we did not know then, just only that the new smartphone will appear cheaper than the touch and with a slightly stripped-down specifications, not due to lack of stylus under the note branding. 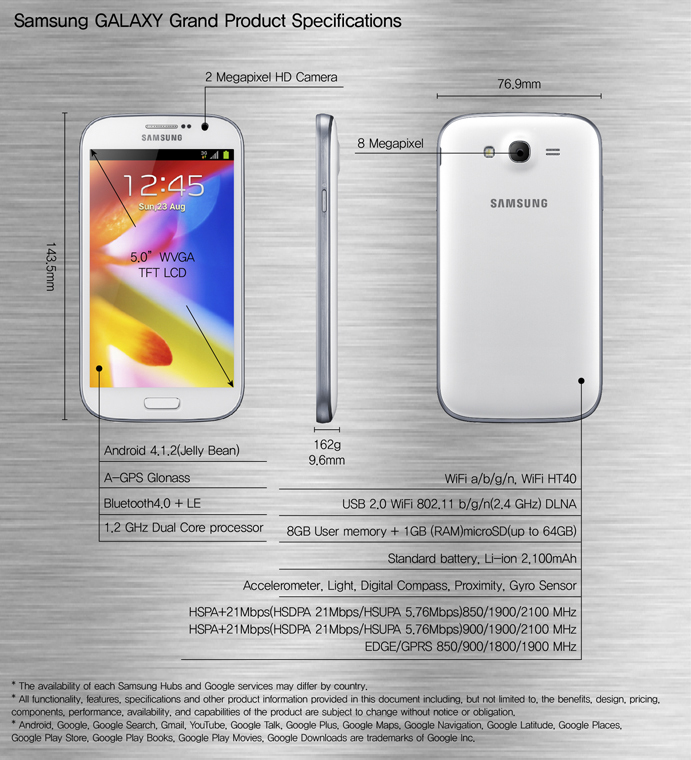 Now we know more about the Samsung Galaxy Grand, it will mean Smartlet. In a blog Samsung has just announced the 5-inch smartphone. Compared with the score 2 or the Galaxy S3, the hardware of the Samsung Galaxy Grand is relatively weak. Thus, only a 1.2 GHz dual core processor is installed, but there are still 1GB of RAM and 8GB internal memory. The latter can be expanded via a microSD card slot with 64GB. On the back there is a camera with 8 megapixels and the Frontcam has a resolution of 2 megapixels. With the 5.0 inch screen is not as supposed to Super AMOLED display, but a simple WVGA TFT LCD panel. This solves so only with 800 × 480 pixels, which is especially at a size of 5 inches already quite low. 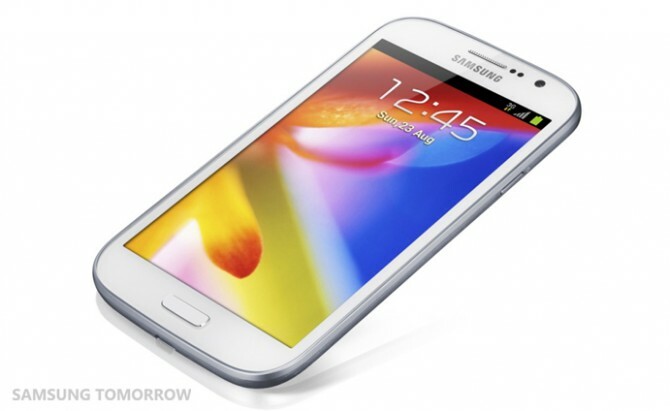 On Samsung Galaxy Grand will run Android 4.1 Jelly Bean. Although Samsung did not reveal any awards, but at the hardware we already see that the Galaxy Grand should be pretty cheap. When the 5-inch Smartlet is in stores, also not known.